Ronny Nadiv has over 25 years of experience in business development, events management, fund-raising for events, sales management, advertising, marketing and social media. 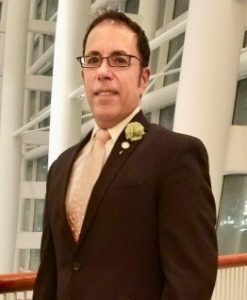 Most recently Ronny was the Director of Membership for the Greater Fort Lauderdale G&L Chamber of Commerce where he successfully contributed to the growth of the chamber and cultivated close relationships with businesses and community leaders. Ronny’s commitment to the community and volunteering was rewarded with the Citizen’s Citation from former Baltimore City Mayor Kurt Schmoke and a Presidential Citation from former Baltimore City Council President Mary Pat Clarke. He served on the Board of Directors for Opera Vivente in Baltimore from 2007-2010 and developed the annual opera program, which resulted in raising funds from ad sales toward opera productions. Ronny was a candidate for the 2017 South Florida Leukemia Lymphoma Society Chapter of Fort Lauderdale Man of the Year fundraising campaign and was among the top 4 finalists. Ronny is a passionate opera singer and an avid traveler who also enjoys spending quality time with his close friends and family.